Before and After, originally uploaded by SwappyIT. There's No dark side of the moon really. Matter of fact, it's all dark - eclipse, originally uploaded by SwappyIT. 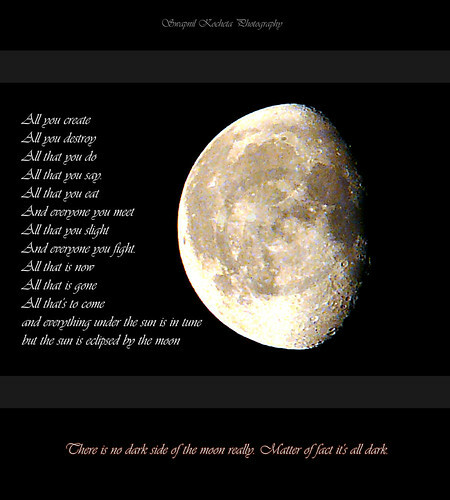 but the sun is eclipsed by the moon. . . Morning Raaga, originally uploaded by SwappyIT. An Early Morning Shot on the way to Village and Hiking tour. 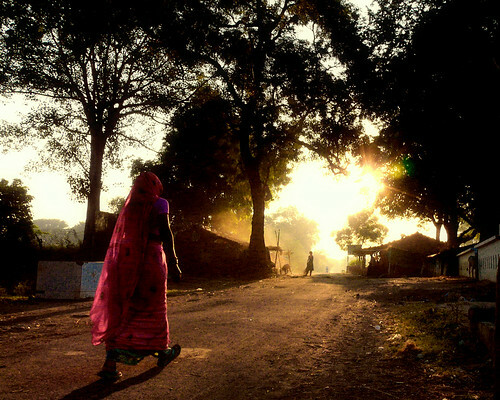 Loved the Light at the end of horizon, a tiny silhouette, rural backdrop, and tinge of glow in the saree.